A concerned viewer reached out to Contact7 after seeing several dogs kept out in the cold in Broomfield. BROOMFIELD, Colo. — A concerned viewer reached out to Contact7 after seeing several dogs kept out in the cold in Broomfield. It was below freezing outside and Broomfield resident Brian Whetman couldn’t ignore what he had seen from his storage unit nearby. He live-streamed the incident on his Facebook page. "[The dog] was just screaming. It just seemed like he had been out there well over four hours," he said. He had trouble tracking down the owner of the outdoor kennel, so Contact7 did. On a day when the sun was out, Jim with Top Dog Protection Service showed us his kennel. "People will call me up and yell at me like I’m an evil person, like I’m the cruelest guy in the world because these dogs are out here in the cold," he said. He's used to the complaints by now. For the past 25 years, he's trained troubled dogs given up by their families or donated to him to work as security. He said he feeds them, gives them water and a warm place to sleep. There's also a roof to block the elements and an exercise pen. Jim said he has never been cited for cruelty or neglect and his dogs are healthy and happy. But for Whetman, who considers his pets family, it’s just too distressing to see. His dogs are sports dogs, trained to help him retrieve pheasants, ducks and geese after a hunt. He said he outfits them specifically for the cold and inclement weather. "The fact of the matter is seeing a dog out there for four-plus hours in the bitter cold, to me, to a lot of people I know, and my friends, decent people, it’s just unacceptable," he said. 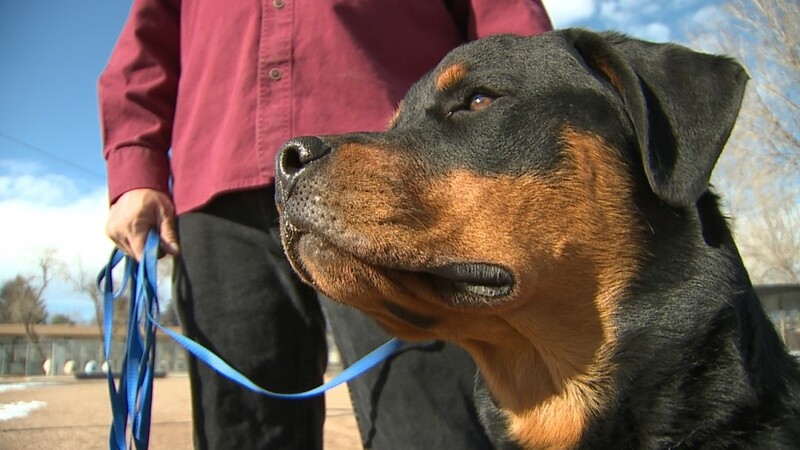 The spokesperson for the Colorado Department of Agriculture said there have been no complaints against Top Dog Protective Services. One of the issues, is the common confusion with the business Jim leases from on the same plot of land, Colorado Dog Academy. Animal control officers did visit the day Whetman made the video. But they did not find any signs of neglect.